The public may be expecting to see robot cyborgs battle it out in distant galaxies, but back here on earth the battle of the robots is taking on a distinctively quotidian reality. The double announcements today of Dyson’s 360 Eye and Samsung’s Powerbot VR9000 come as a challenge to robot vacuum market leader iRobot’s Roomba, and hails the arrival of a new competitive era of the robot-as-appliance . 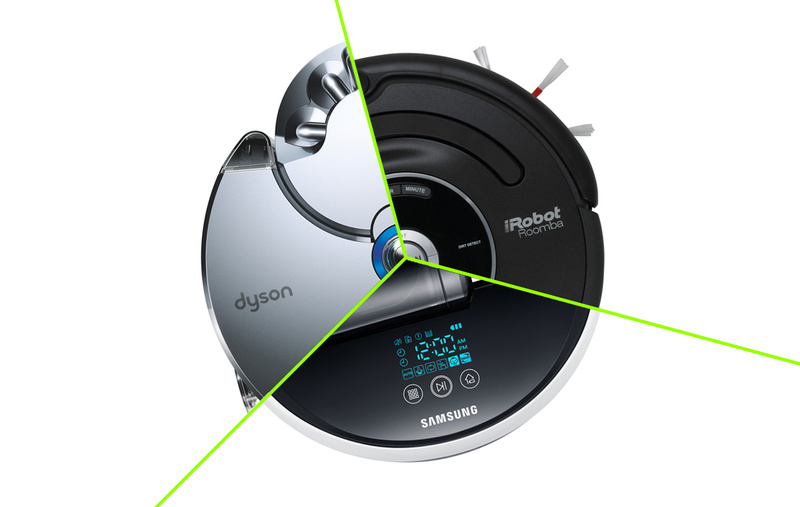 While Dyson is a relative giant on the appliance scene, and Samsung is an electronic powerhouse in its own right, Roomba currently boasts dominance in the more niche robot vacuum market. 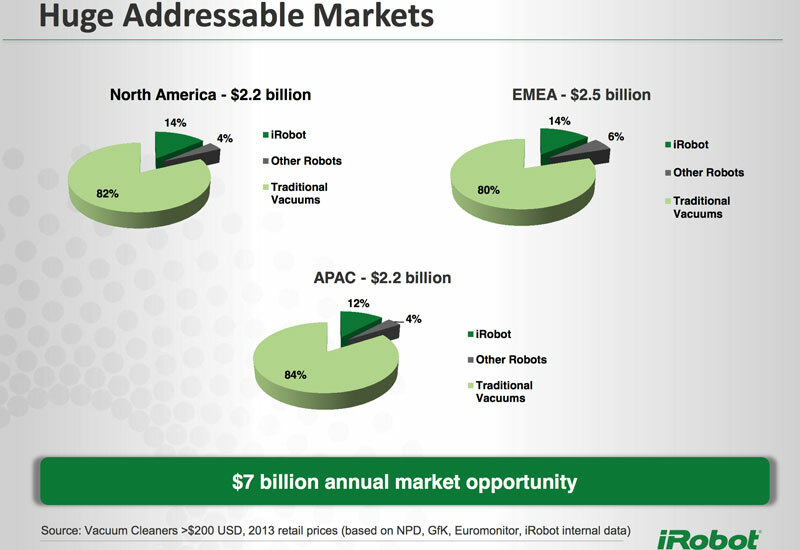 In a recent report, iRobot claims to have sold over 10 million robot vacuum cleaners since 2002, and counts more than 50 countries in its distribution network. It took me becoming a vacuum cleaner salesman to actually have some success for my company, my investors and myself. 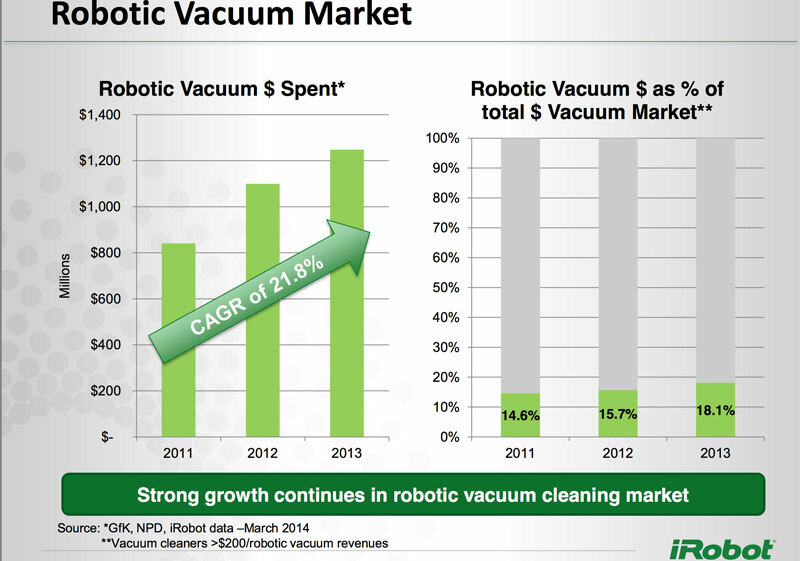 Is there room for two more robot vacuums in what many have previously thought of as a novelty market? Or is the “novelty” market now becoming mainstream? Clearly Dyson and Samsung have done their homework, or they wouldn’t have launched competing products. And with Dyson investing £5m in a lab at Imperial College London, they obviously have their longterm sights set on the robotics community. iRobot has been doing its own market research, too. In the above-mentioned report, iRobot claims that the robot vacuum business is at an explosion point, with a “huge addressable market” and a “$7 billion annual market opportunity”. With those kinds of numbers, it’s no wonder that other players are jumping into the game. One thing is for certain, though: competition is a sure sign of growth in this space. With contributions by Yannis Erripis, Andra Keay, John Payne, and Frank Tobe. Has Dyson’s robotic dream become reality?